Much like any long-running horror franchise, Friday the 13th has gone to some strange places in its illustrious history. In short, Jason Voorhees has risen from the grave, took Manhattan in a way much different from the Muppets, gone to space, and has even been rebooted. 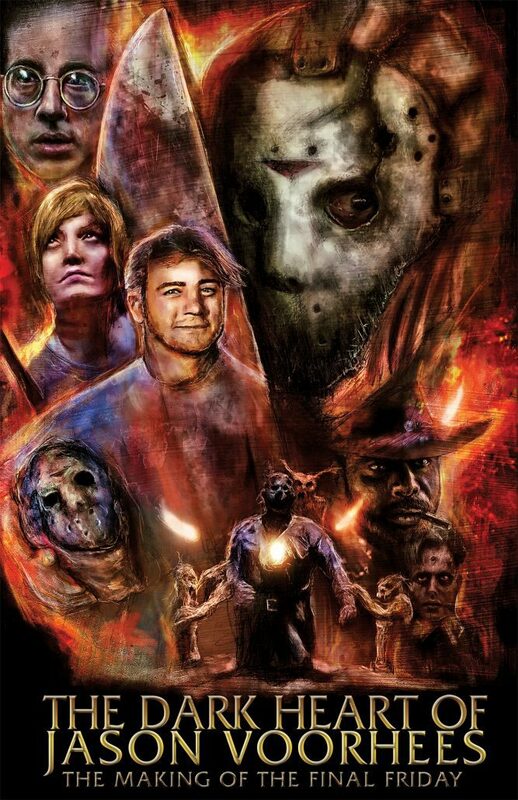 But one sequel in particular still remains a point of discussion amongst the fanbase, that being the controversial Jason Goes to Hell: The Final Friday. Personally, it’s my least favorite in the entire series, but I can at least understand why it has its supporters. With its outlandish plot that saw Jason hop from body to body before being reborn and emerging from beneath a floor as a fully clothed adult – in addition to planting the first seed for Freddy vs. Jason – it’s kind of easy to see why this flick has a cult following. Now, in preparation for the film’s 25th anniversary, Nick Hunt is directing a new documentary, Dark Heart of Jason Voorhees: The Making of the Final Friday, which seems pretty self-explanatory. But, if you require a little more information, you should be thrilled to know that Jason Goes to Hell director Adam Marcus – and others – are willing to spill their guts regarding the movie’s production. Who knows, maybe he’ll tell us things that are just as interesting as his stealth reveal of Jason being a Deadite? In the meantime, Hunt has decided to share a poster for the tell-all flick, which can be viewed below. If you were to ask me, it’s beautiful enough to be used for a comic book adaptation – or at least worthy of adorning a dedicated fan’s wall. As of now, this Friday the 13th documentary lacks a concrete release date, but we’ll keep you posted as more information becomes available.